Chief of Police Lucas Clements reports that the police department received several debit card fraud complaints over the past weekend. Each complaint involved debit card numbers and their associated PIN being stolen and then used fraudulently on a cloned debit card. This type of crime and method is consistent with thieves using a “skimmer” device that can be used to obtain credit or debit card information. The use of “skimmers” has become more common across the country in recent years, with “skimmers” typically being placed inside gas pumps, making them undetectable without opening the pump. After the thieves place the “skimmer” inside a gas pump, they return after a period of time and remove the device and or simply collect the data, which consists of the credit or debit card information from customers paying at the pump. While investigating the rash of debit card fraud complaints, Chief Clements states the police department contacted our local gas stations to assist in checking for “skimmer” devices. As a result, one “skimmer” device was located at Triangle Kwik Stop (TKS) on Sextonville Road and removed by law enforcement. No additional “skimmers” were located within the city. It’s not shocking anymore to hear about prescription painkillers and heroin abuse in Wisconsin communities. Law enforcement, elected officials, school officials, and the media – everyone is talking about the epidemic that is stealing futures and lives. Chief Lucas Clements wants to inform the community that, on October 22, they can do something to help prevent this epidemic from spreading further. The Richland Center Police Department will be hosting a Drug Take Back Day, joining a national initiative to get all those unused prescription and over-the-counter drugs out of your medicine cabinet and safely destroyed. 70% of people who are addicted to prescription opioids got their first pills not from a street dealer, but improperly from a family member or friend. To help keep our community safe, please take advantage of this free service provided on the upcoming Drug Take Back Day. Drug overdoses kill more people than car accidents in Wisconsin, and the largest number of those deaths aren’t caused by “hard street drugs.” In fact, prescription narcotic painkillers contribute to more deaths than heroin and cocaine combined. With more than 163,000 Wisconsinites addicted to prescription opioids, we all have a role in preventing that number from increasing. Do Bring: Prescription (controlled and non-controlled) and over-the-counter medications, ointments, patches, inhalers, non-aerosol sprays, creams, vials, and pet medications. Do Not Bring: Illegal drugs, needles/sharps, acids, aerosol cans, bio-hazardous materials (anything containing a bodily fluid or blood), personal care products (shampoo, soaps, lotions, and sunscreens), household hazardous waste (paint, pesticides, oil, and gas), and mercury thermometers. Liquids will be accepted during this initiative. However, the liquids, creams, and sprays must be in their original packaging. Liquids without the original packaging will not be accepted. Chief Clements states that every citizen in our community and across this state can play a role in solving this epidemic: use prescriptions only as prescribed to you, store prescriptions securely, properly dispose of unused prescriptions, and help spread the important message about safe prescription use. Please go to http://www.doseofrealitywi.gov/ to learn more about how we can make our community safer and healthier. The Richland Center Police Department, in cooperation with the Wisconsin Department of Justice (DOJ) and the Drug Enforcement Administration (DEA), will again be participating in a Prescription Drug Take-Back initiative. The event will take place on Saturday, April 30th from 10:00am-2:00pm at the Richland Center Police Department located at 470 S. Main St. in Richland Center. This effort will continue to bring an increased focus on the issue of prescription opiate abuse. The goal of the Take-Back Day is to provide a safe, convenient and responsible means of disposal, while also educating the community about the potential for abuse and consequences of improper storage and disposal of these medications. Unused or expired medicine should never be flushed or poured down the drain. Water reclamation facilities are not designed to remove all of them and trace amounts of pharmaceuticals are showing up in rivers and lakes around the world. Bring: Prescription (controlled and non-controlled) and over-the-counter medications, ointments, patches, non-aerosol sprays, creams, vials and pet medications. Do Not Bring: Illegal drugs, needles/sharps, inhalers, aerosol cans, bio-hazardous materials (anything containing a bodily fluid or blood), personal care products (shampoo, soaps, lotions, and sunscreens), household hazardous waste (paint, pesticides, oil, and gas), mercury thermometers. Chief Clements added that over the past five years, local efforts utilizing this free service have collected approximately 400 pounds of prescription drugs for disposal from our community. Chief Clements states he has been impressed with past collection results and encourages citizens to keep taking advantage of the service. This service is free and anonymous, with no questions asked. 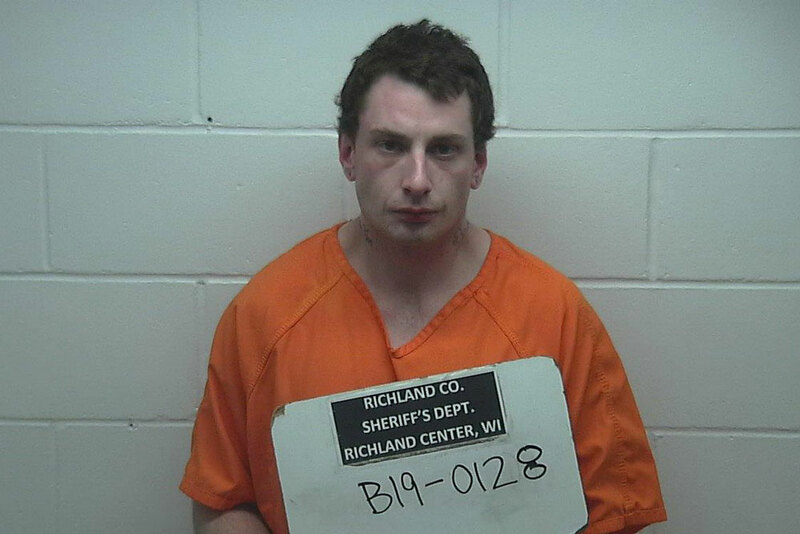 Chief Lucas Clements of the Richland Center Police Department reports that on January 27th, members of the Richland County Special Response Team along with local members of the Richland-Iowa-Grant Drug Task Force conducted an arrest warrant operation in the City of Richland Center. 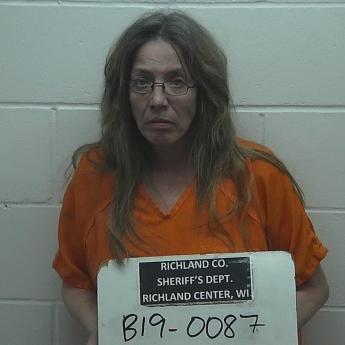 As a result of that operation, two Richland Center residents were arrested for numerous felony drug crimes. 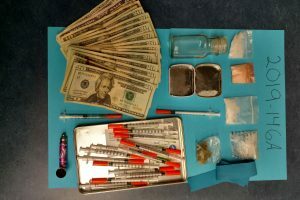 The operation was the culmination of a drug investigation by local members of the Richland-Iowa-Grant Drug Task Force. 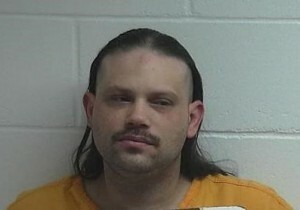 Stephen J. Szuflita, 40, was arrested and tentatively charged for Maintaining a Drug Trafficking Place (4 counts), Manufacture/Deliver Schedule II Drugs, Manufacture/Deliver Schedule IV Drugs (2 counts), Manufacture/Deliver THC (3 counts), Possession of THC, Possession of Drug Paraphernalia and Bail Jumping. Regina M. Heather, 42, was arrested and tentatively charged for Maintaining a Drug Trafficking Place (3 counts), Possession of Methamphetamine and Possession of Drug Paraphernalia. 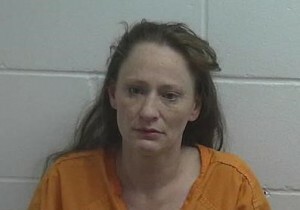 All charges have been forwarded to Richland County District Attorney Jennifer Harper for prosecution. The Richland County Special Response Team is a combined tactical unit consisting of officers from the Richland Center Police Department and deputies from the Richland County Sheriff’s Department. Also assisting with the investigation were Richland County Health and Human Services and Richland County EMS. Chief Clements would like to point out the effort of the Richland-Iowa-Grant Drug Task Force members in regards to this investigation. Chief Clements notes the results of this investigation show the reality of what law enforcement faces daily, whether on patrol or working a drug investigation, specifically polydrug use and abuse. Polydrug use is the use of two or more drugs in combination with one another. Polydrug use has led to increasing health concerns including potentially fatal overdoses. The arrests in this investigation take this “one stop shop” for drug users out of the equation in our community. Chief Clements along with Richland County Sheriff James J. Bindl would like to remind citizens to report any suspicious activity by notifying law enforcement. Callers who wish to remain anonymous can call Richland Area Crime Stoppers at 647-CLUE (2583) and may be eligible for a cash reward. Damage caused by the fire. Smoke and heat damage to electrical and HVAC fixtures. 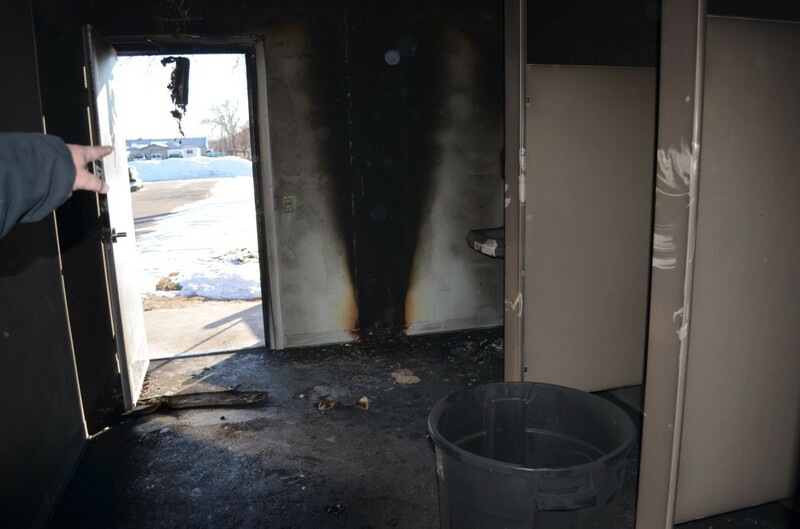 The Richland Center Police Department and the Richland Center Fire Department have concluded their investigation into a fire that occurred at the Dr. Killian Meyer building in Krouskop Park on January 17th, 2016. According to Chief of Police Lucas Clements, at approximately 2:23 pm on January 17, 2016, police and fire were dispatched to the Dr. Killian Meyer building located in Krouskop Park for a report of a fire. Officers from both departments responded and initial information indicated that a fire had occurred inside both the men’s and women’s restrooms of the building. 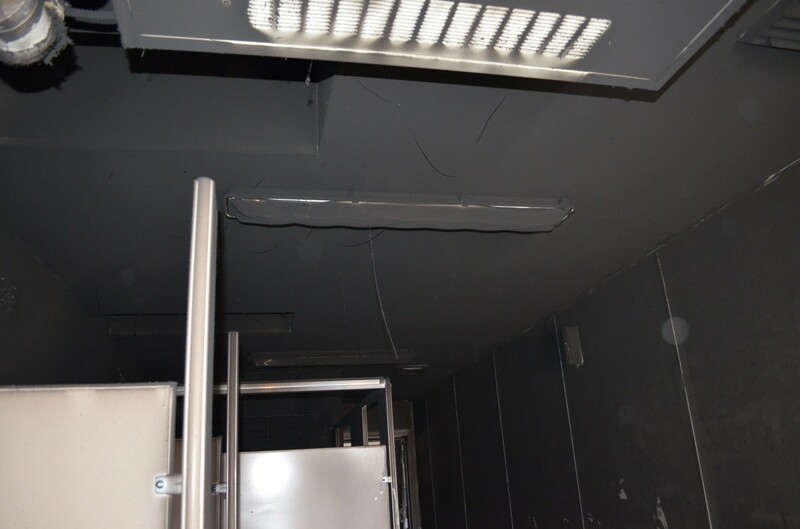 According to Fire Chief Bob Bindl, responders found that the interior of the bathrooms had experienced a fire which had self-extinguished, with the majority of the damage occurring in the men’s restroom. Fire Chief Bob Bindl noted the fire caused extensive smoke damage throughout the building. 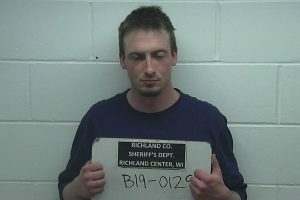 According to City of Richland Center Parks, Recreation, and Grounds Director Shane Stibbe, who has been working with insurance adjusters throughout the past week, preliminary estimates concerning damage caused by the fire are at a minimum of approximately $70,000. 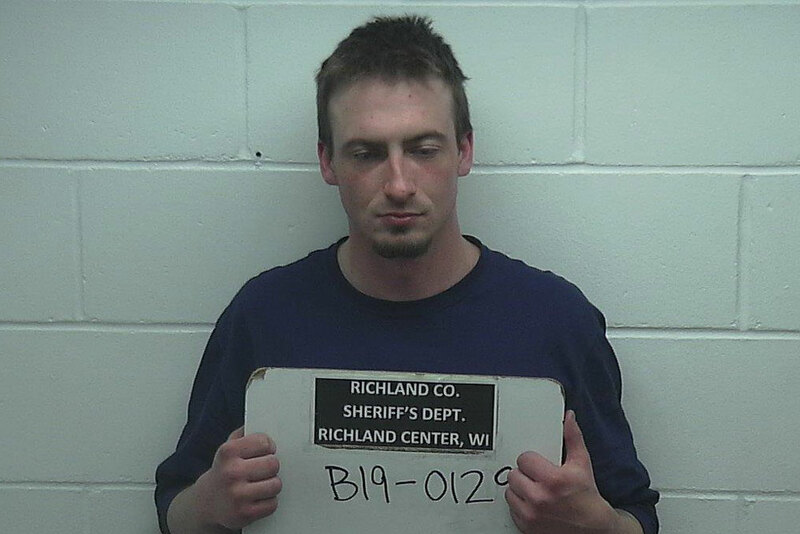 Chief Clements reports that on January 20th, 2016 at approximately 7:56 pm an Officer with the Richland Center Police Department received a tip with information concerning the fire and passed the information on to the investigating Officer. 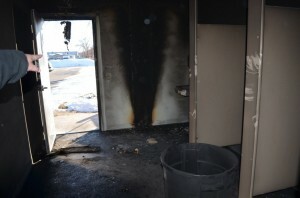 Following up on this tip, the investigating Officer, through interviews and timely police work, found that three juveniles were responsible for setting the fire in the Dr. Killian Meyer building on January 17th. 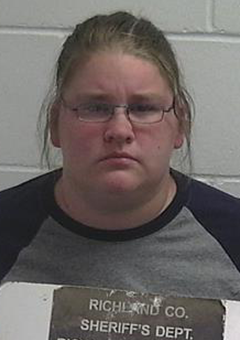 The juveniles, two from Richland Center and one from Lone Rock, have been referred to Richland County Health and Human Services for the crime of arson. Assisting with the investigation were members of the Richland Center Fire Department, City Parks, Recreation and Grounds Department, and Richland County Health and Human Services. 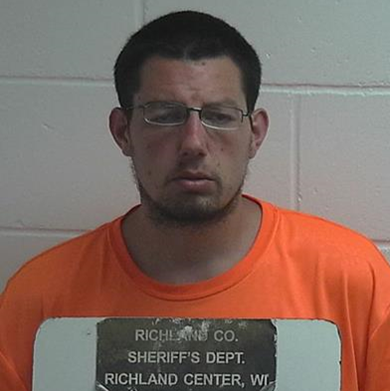 The Richland Center Police Department is continuing their investigation into an attempted 1st degree intentional homicide that occurred in the City in the days leading up to Sunday, September 20, 2015. Chief of Police Lucas Clements reports that in the early morning hours of Sunday, September 20th dispatch received a call from the Madison Police Department wishing to speak with an officer from the Richland Center Police Department. 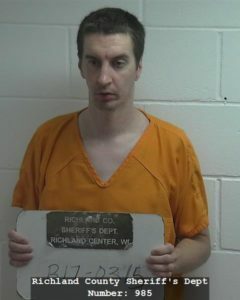 At 2:02 a.m. an officer placed a phone call to a Lieutenant with the Madison Police Department. The officer learned that the Madison Police Department had been contacted by staff at Meriter Hospital, who had concerns that one of their patients had possibly been intentionally poisoned.